Jen was a friend of a friend who, after having sold her soul to the devil apparently, devised a drink using only cucumber vodka and water. And it was delicious. I brought the idea home with me after that football game, and spread word of this almost zero-calorie cocktail to friends like it was the new gospel. Ladies, it’s true. The only calories in this refreshing beverage are in the vodka itself, usually 60 calories per ounce. It’s a small price to pay for getting buzzed off of water. 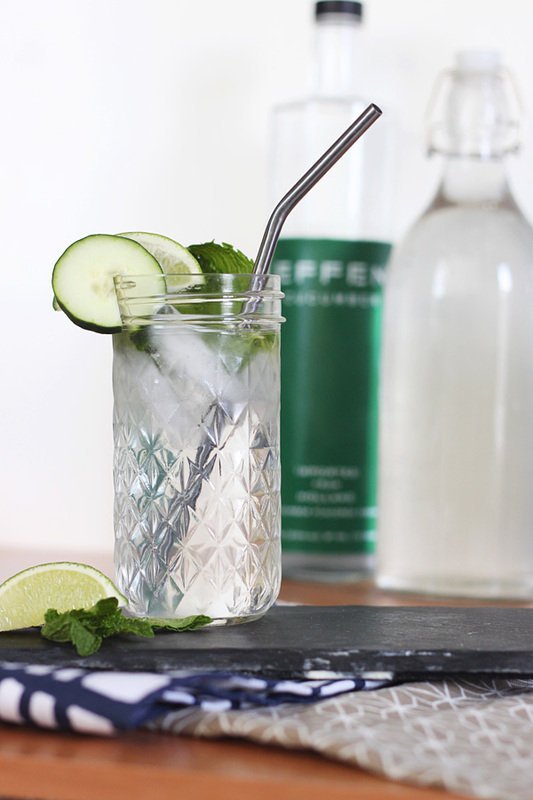 The cucumber vodka cocktail has seen a few variations since then, but this latest iteration is my favorite. Besides cucumber-infused vodka and ice water, I add mint for flavor and a little bit of Truvia simple syrup for a hint of sweetness. You probably know Truvia is a no-calorie sweetener for coffee or tea, but you can also make no-calorie simple syrup from it, too. Place some ice cubes into a highball glass. 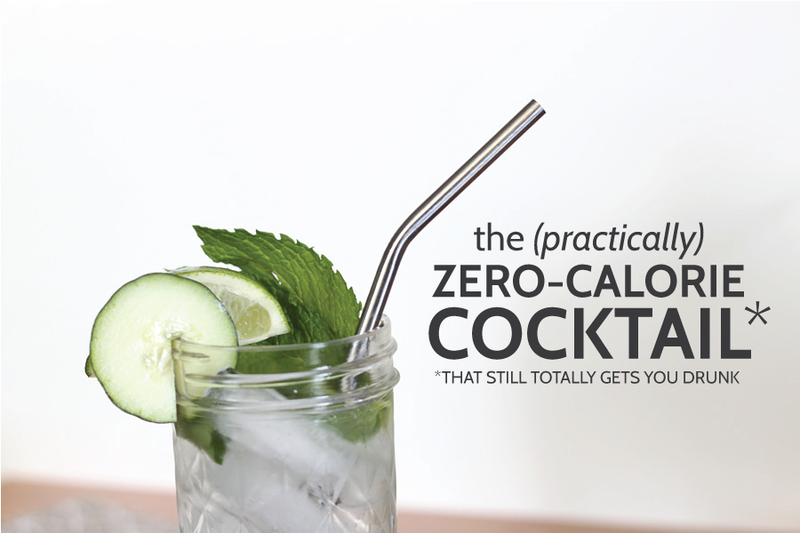 Then pour 2 ounces (or more, I won't judge) of cucumber-infused vodka on the ice. Fill the glass with cold filtered water and add a splash of simple syrup. 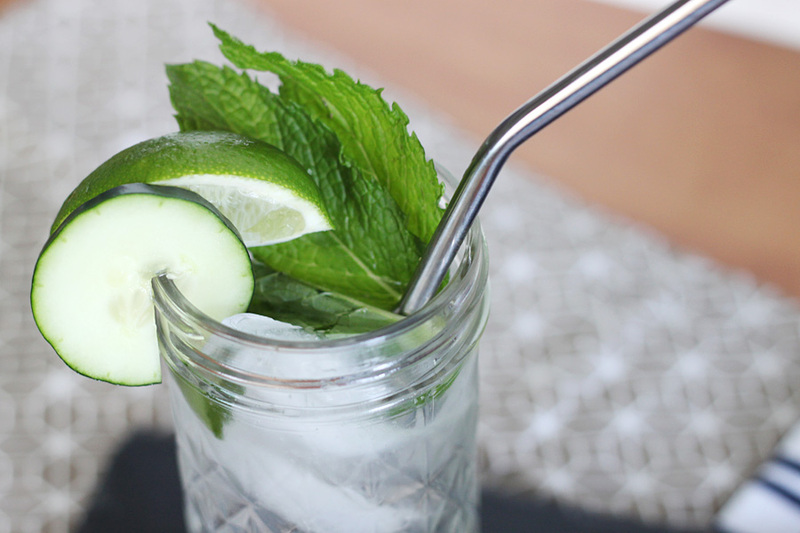 Garnish with cracked mint leaves, a light squeeze of lime and slices of cucumber. Stir well and enjoy cold! I received products provided by Truvia to create this recipe. All opinions are my own. Products from affiliates and sponsors are screened to make sure I think they are a great fit for the site. Thank you for supporting the partners that keep Formal Fringe up and running! I’ve been a vodka water drinker for years! It’s my go to and has slowly picked up steam amongst my friends. I don’t use flavored vodka, but cucumber sounds great. I’ll have to give it a try. Great post. The cocktail is delicious! Also I’d highly recommend trying KEEL vodka…..smoother and half the calories of effen. They don’t make flavored vodkas yet, but using fresh cucumber always beat the flavors in my opinion.